Blue Sky based of Southern California could brag themselves confidently as the #1 planner brand in the United States delivering exclusive, premium and personalized planners to masses. What started as a simple idea, 16 years ago, has grown into a family of 70 employees and over 13 million users annually. The company has focused on bringing the highest quality, fashion-forward planners for business people out there, helping them in devising a great plan for the future. 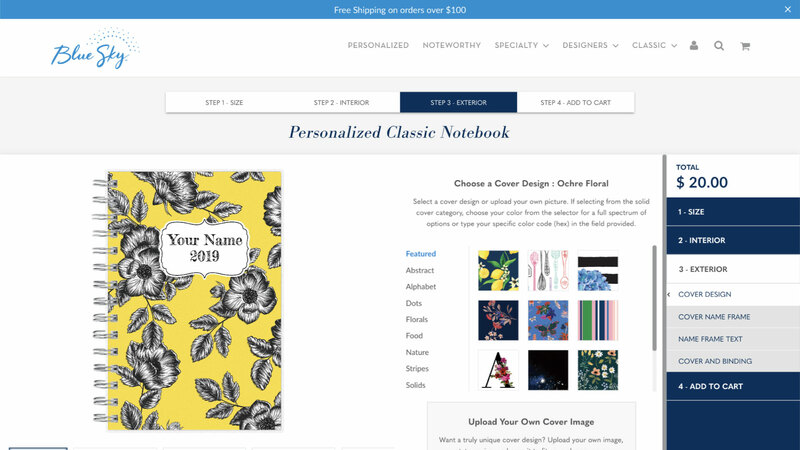 Personalization plays a vital role in their business and many customers opted for customized planners and notes that could speak for their self. Handling the humongous volume of personalization request was tedious and time-consuming, given their old customization software failed to satisfy their business needs. They wished for a seamless, scalable, and easy-to-use customization solution that could handle their volume in need. Our team spent a couple of weeks with the client to understand their personalization business and Productimize was indeed the best fit. Thanks to Productimize’s flexibility and freedom, we were able to offer the user experience, layout, and designs above Blue Sky’s expectation. 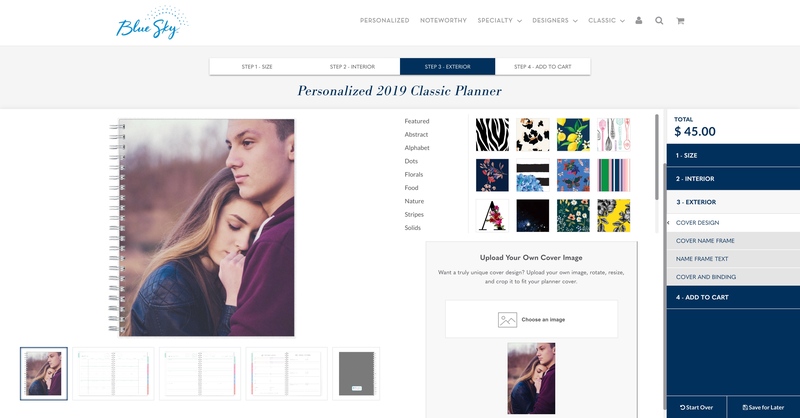 With the easy-to-use interface, customers can upload their own cover images or choose from the dozens already available in the gallery; can customize the name frame style, color, and fonts; and can customize interior color and format. That said, right from Day 1, the customization solution seemed to be a success and customers loved the interface. Learn more about Magento to Shopify store migration story here. 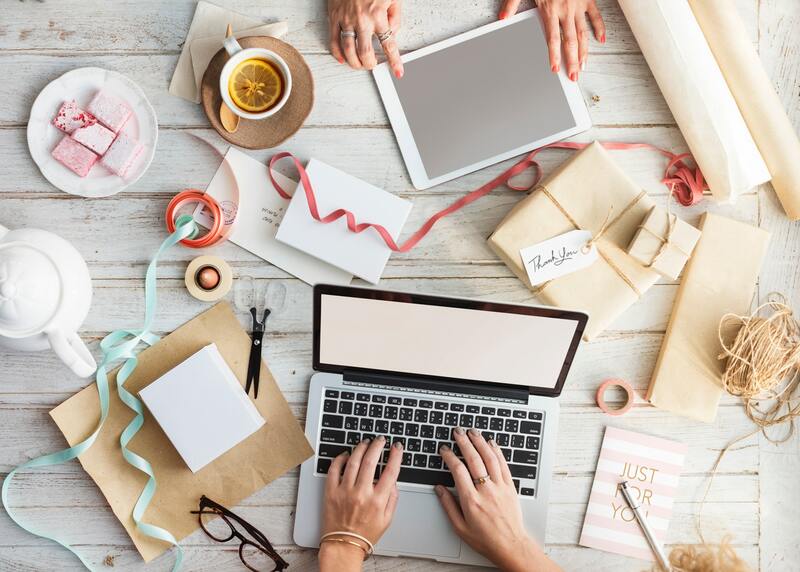 Sending Gift cards with a personal touch through an e-Commerce website is always a challenge for both customers and merchants. Printing Gift cards and stamps being a primary business for StationeryXpress had the same challenges. After several lookups for solutions, they found Productimize which they felt can resolve most of their complex custom solutions and business challenges. Through Productimize, we designed a simpler process by eliminating unnecessary steps. Productimize provided a natural user flow for the customers to follow the customization steps and understand business rules. Our goal was simple - provide the best User Experience so that the customers can easily understand the customization steps and place an order. The flexibility of Productimize allowed us to configure the UI and the visuals easily for both customers and merchant. Bluesky is all about empowering the user to add images of their choice as planner cover. But as a brand they want their customers to stay within the boundaries by restricting the user from uploading unparliamentary images. We made it possible by enabling our content moderator functionality. Generally, customizations will have a limited set of fonts for all the custom products, however in this case as it involved multiple vendors we needed to have different fonts set for products which we were able to support through productimize. Ink colors for the texts can be assigned by the merchant based on the colors that are available with the vendors for printing. Productimize guided the customer by helping them choose the right inks which the vendors can fulfill. Customers have the option to completely personalize the notebook with add-on pages. Where they can pick how many party planning pages, shopping list pages and fitness pages additionally they need to add along with regular pages. Get in touch for a personalized demo.